When you just want to look your best for the day or night out,stop by for an ala-carte blowout . You will leave with perfectly styled hair. This service takes 30 minutes.It is valid 90 days from the date of purchase. Hope to see you soon. You may call us ,walk in or purchase on line . Go to our web-site and purchase series. 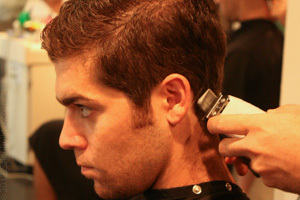 Gentlemen walk in any time for a complimentary classic hot-lather straight razor neck shaves! © 2019 Marijana Hair and Color, All Rights Reserved.